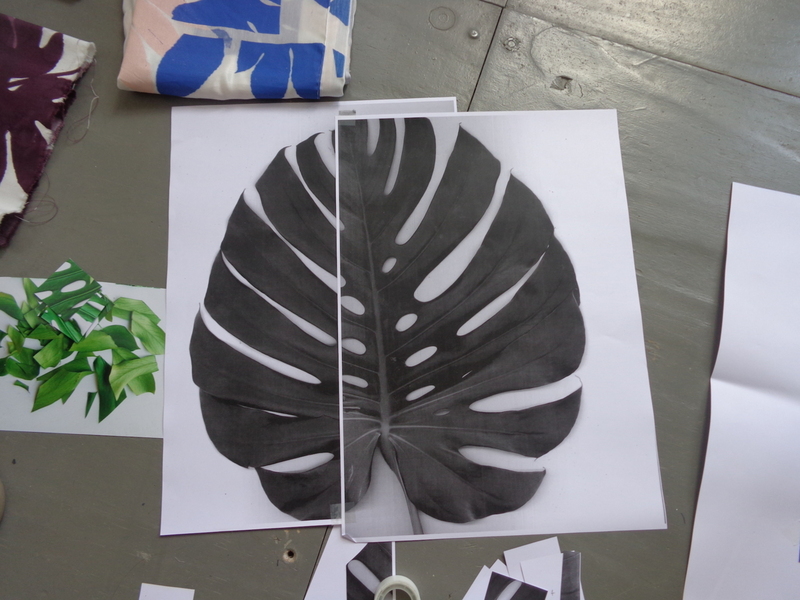 The enlargement of the Monstera leaf made in the previous blogpost resulted in a new form language. I liked the playfulness and the method of upscaling, but the final form did not satisfy me. For an interesting composition the plant itself already has beautiful lines, so changing the original lining is not necessary and doesn’t feel right. 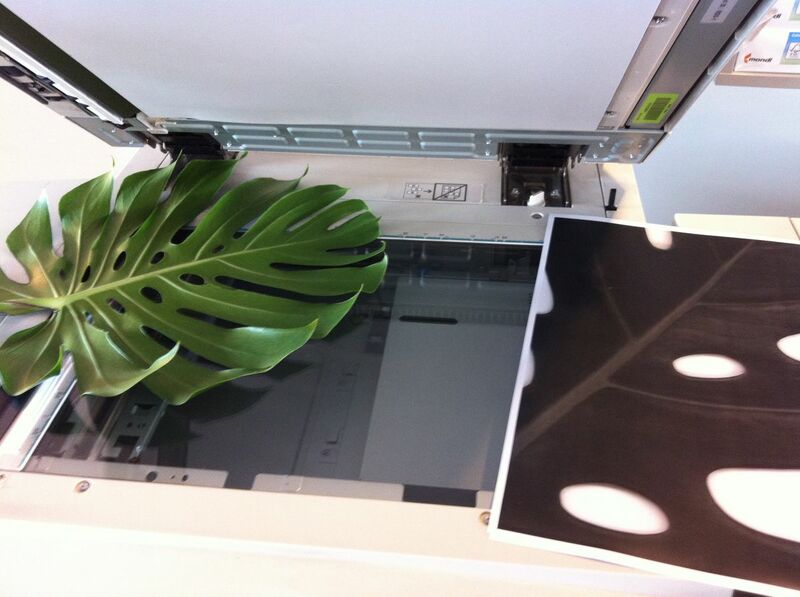 So the next plan to upscale the size of the Monstera leaf is to use my old–time favorite method: the black and white photocopying machine. 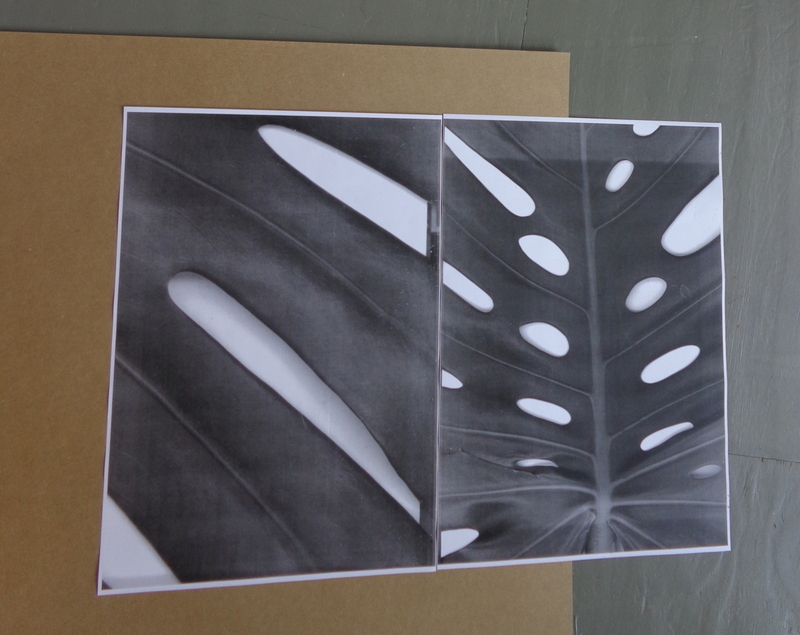 And to start making copies, there was a need for a new big leaf, full of holes. 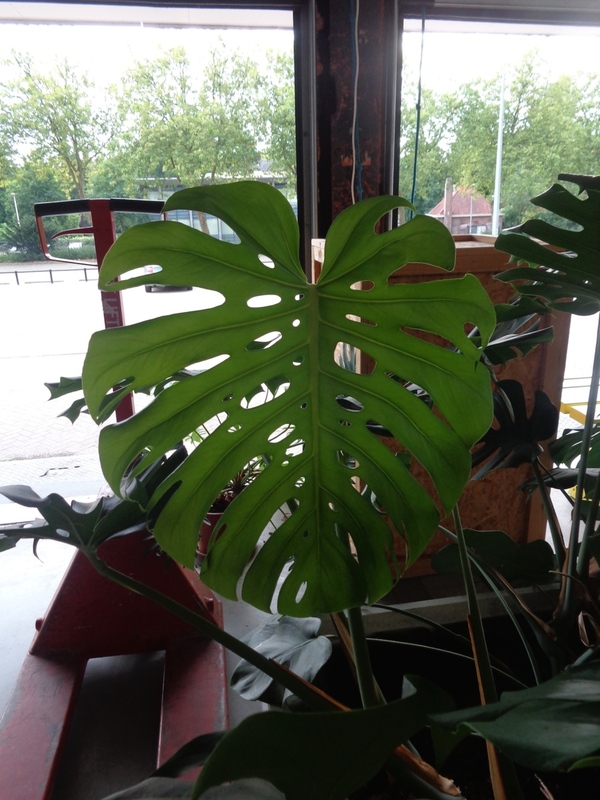 After visiting and contacting multiple flower shops in Arnhem, Amsterdam and The Hague to order a couple of leaves, they all told me that the big Monstera leaf wasn’t available on the flower market at the moment. 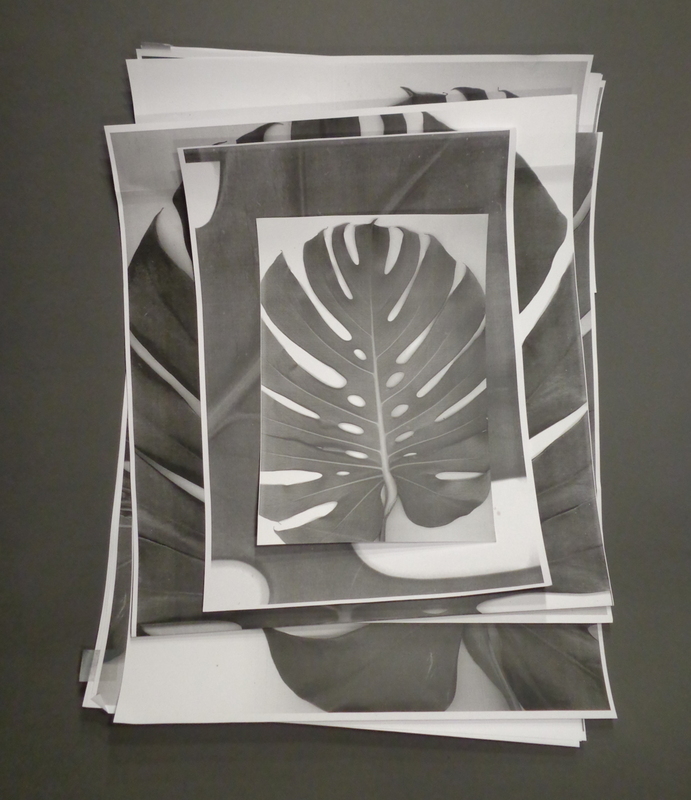 In the ‘Essence of form’ blogpost I wrote that I found a pile of leaves at the studio of befriended graphic designers. So now I asked them if I could get one leaf in order to continue the process. Because it was for a ‘good cause’ I was allowed to cut one off! Thanks Remco/EDHV!! With the new leaf I went to the copy shop. The owner of the shop never saw something like this before and he couldn’t resist starting to give advise how to place the non standard copy object. 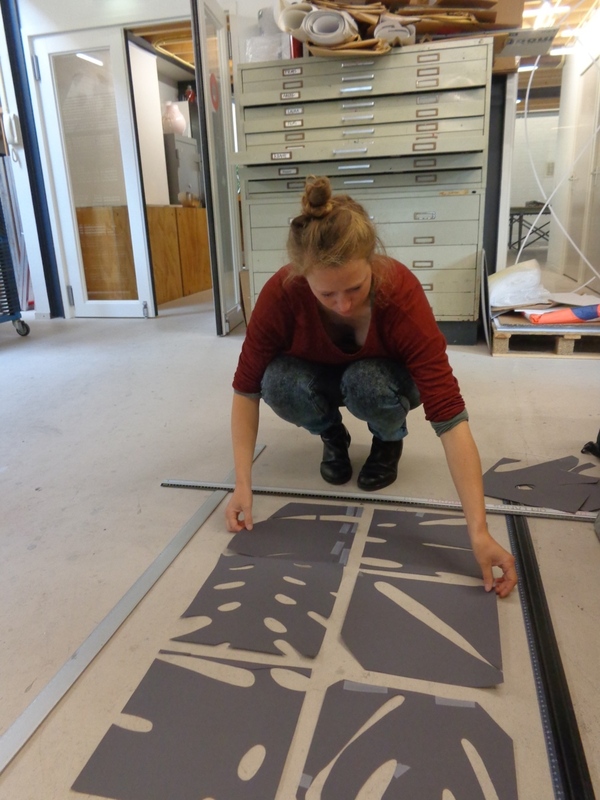 Because the leaf is bigger than an A3 paper, the leaf is cut and framed simultaneously. The biggest two, standard upscale possibilities, 282% and 400%, seemed too small and too big, so I looked for a suitable point in between. The proportion of the 300% copy felt (aesthetically) good. 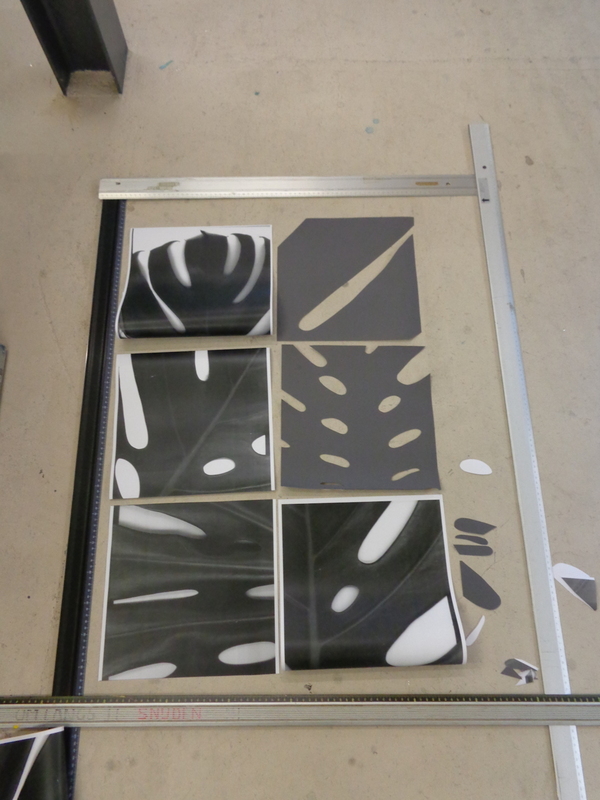 The copies are cut in squares, as a follow–up on the working method described and shown in the Split Leaf blogpost. 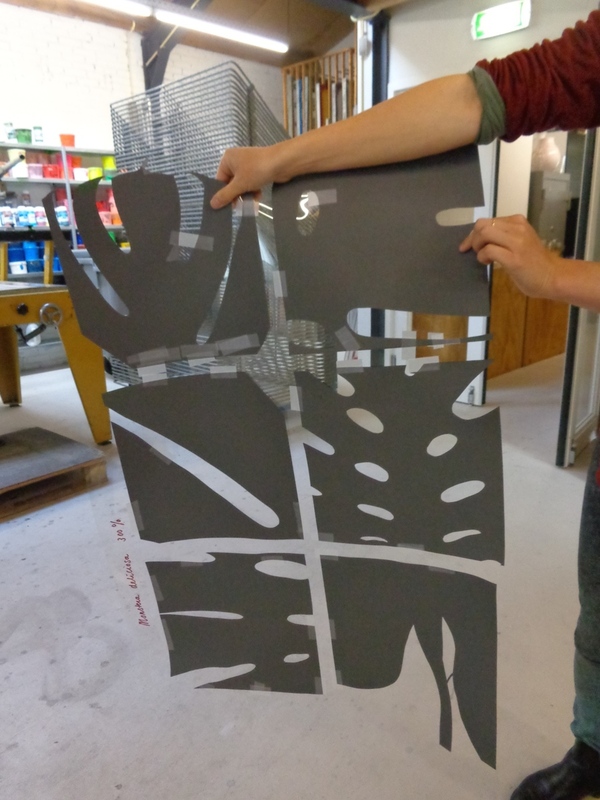 The use of squares on the final silk screen will make it possible to rotate the shapes in a later phase (if necessary). 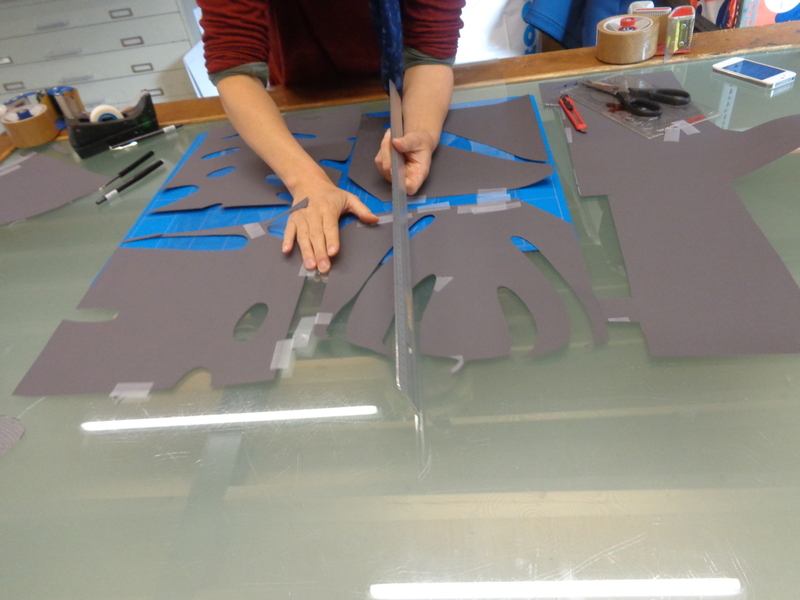 In order to create completely filled silhouettes on the silk screen the copies of the leaves aren’t suitable. So I ‘translated’ the copies to cut–outs on grey paper. 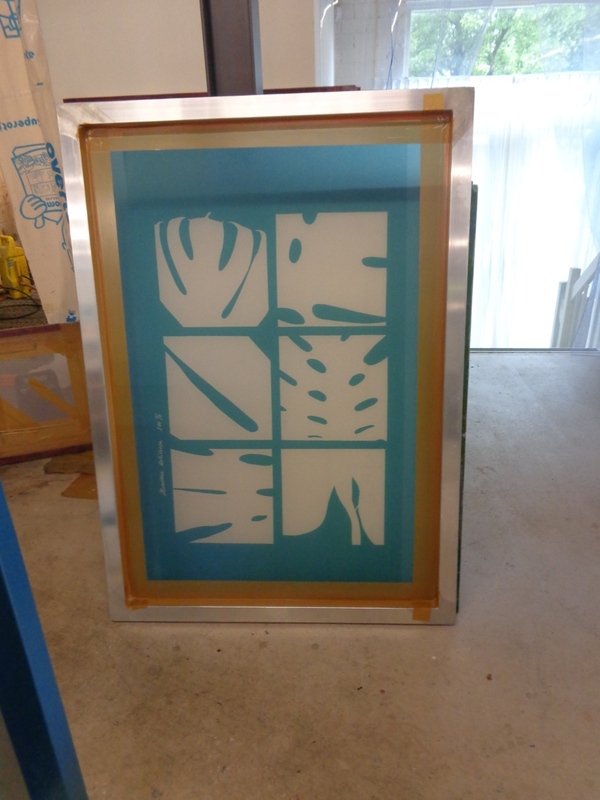 After making a satisfying composition, the screen is ready for printing!